An interface for your user community, too. Each requestor account has their own portal desktop, allowing them to submit and manage support requests, and provides them access to other resources, like shared conference rooms, loading docks, freight elevators, or documents. And, since mobility is built in, their portal will work on any mobile device. Easily submit user requests directly from their desktops. Built-in mobility, always available, even on the go. 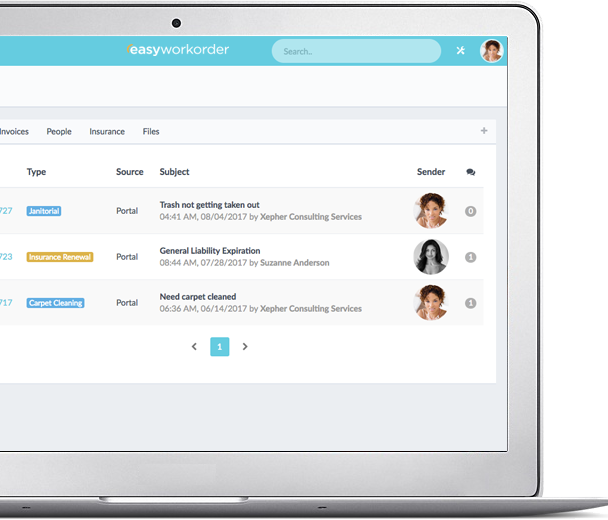 Each Easyworkorder account can have a customized mailbox, allowing your user community to access and manage all of their support emails in one place. 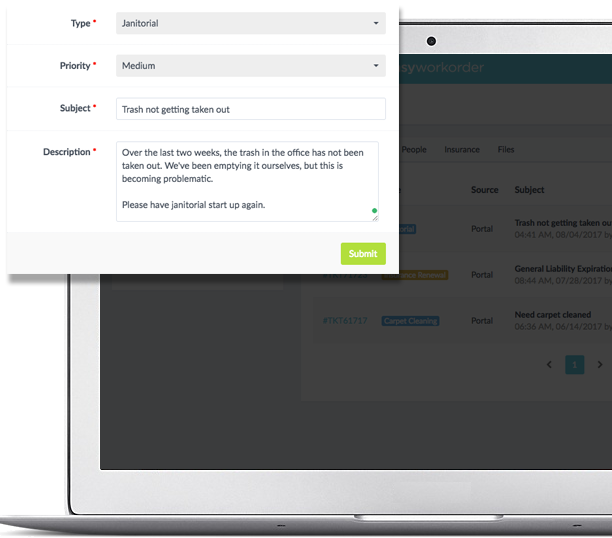 Every ticket that comes into your support desk can be prioritized, categorized, and assigned automatically. Create and store common responses to common issues and save time using them when needed. Need to assign a bunch of tickets to a particular person, or close a bunch of tickets? Bulk actions lets you do that in a few clicks. Ever had the same ticket issued multiple times by the same company? Now, you can merge them into one and thin out your queue. Get an real-time look at the labor and materials associated with a ticket. All costs are prominently displayed for easy viewing. Private and public notes allow for the right parties to be informed when they need to be and there’s no loss of the running chronology of activity. If you need to involve an outside vendor, you don’t want to waste time emailing, faxing and talking on the phone. 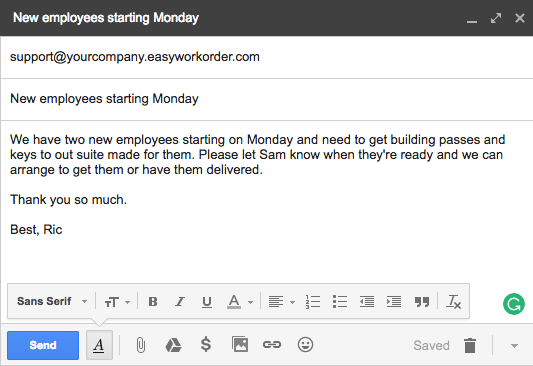 Easily give work to vendors, and track their responses, too. If you’re considering Easyworkorder or just want more information, we’re here to help. Copyright © 2005 - 2017 Easyworkorder.com, All rights reserved.